In the Open Workorders screen click the Description of the work order you wish to edit. Work Orders can be Edited by Administrators, Dispatchers or Technicians. Click the "Workorders" tab in the menu bar then click the "WO# - Discrepency" item for the WO you wish to edit. You may Delete the Work Order by clicking "Delete Workorder" at the top of the "Edit Workorder" screen (Administrators Only). You can change anything you like. 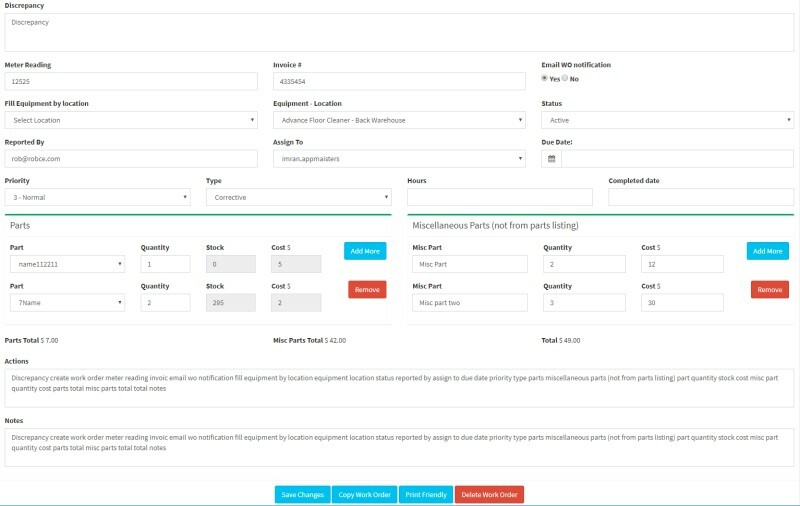 You can make a Complete workorder Active again, Change parts, status, type, all fields are changeable. Print Friendly Page Brings up a page with text only for a clean print of this work order.